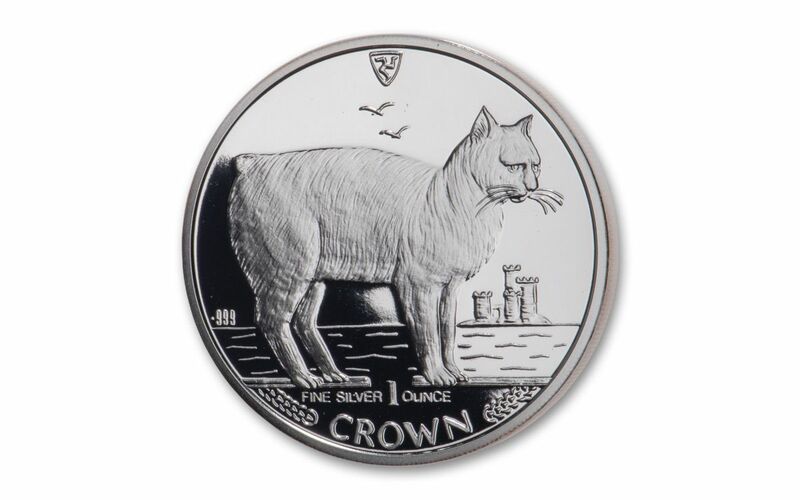 Now you can add the very first coin in the series to your collection with this 1988 Isle of Man Manx Cat Silver Proof. Struck in a Troy ounce of highly-pure 99.9% silver, this legal-tender coin bears a denomination of 1 Crown and celebrates the animal that is recognized as the national symbol of the Isle of Man. Expertly crafted by the artisans at the Pobjoy Mint, the coin’s proof finish is the result of hand-selected planchets, polished dies and multiple strikes to produce beautifully frosted details rising over mirror-like fields. The origins of this domesticated cat native to the Isle of Man are steeped in mystery. Biblical references abound, as do tales of felines swimming ashore from shipwrecked Spanish Galleons. Instantly recognizable for having only a small stub of a tail, the Manx is the product of genetics with a naturally occurring mutation that shortens the tail. While most cats need their tails for balance when running, the Manx is perfectly fine without it. Perhaps having no tail has affected its personality – Manx owners say their cats will go on walks and, unlike other cats, like to swim. 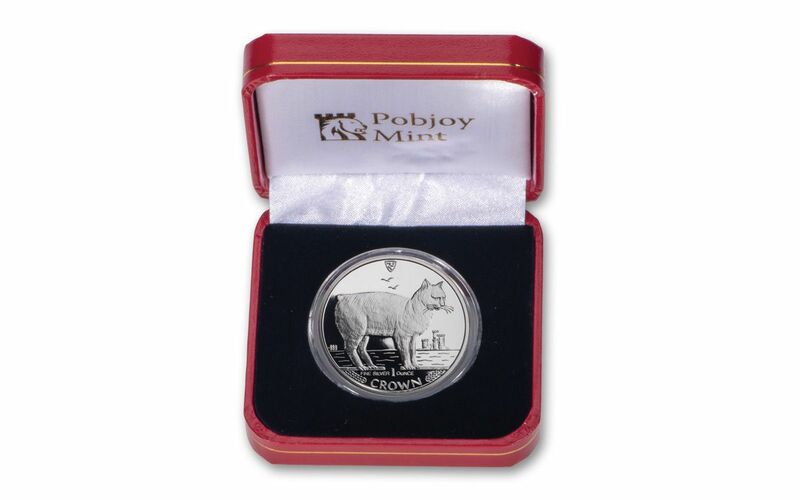 FIRST YEAR OF POPULAR SERIES – The 1988 Isle of Man Manx Cat Silver Proof is the first release in the Pobjoy Mint’s popular cat series that ran from 1988-2016. 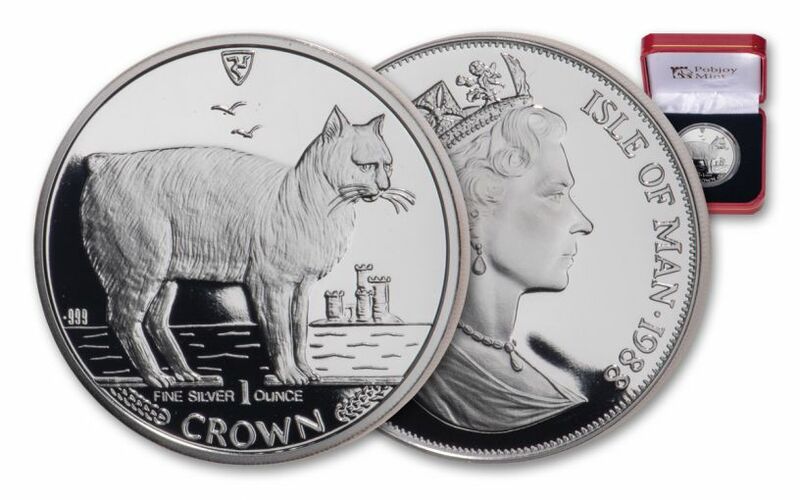 The coin’s reverse depicts the Manx cat, a species that originated from the Isle of Man and is instantly recognizable for having only a small stub of a tail. The coin’s obverse features a profile of a young Queen Elizabeth II. 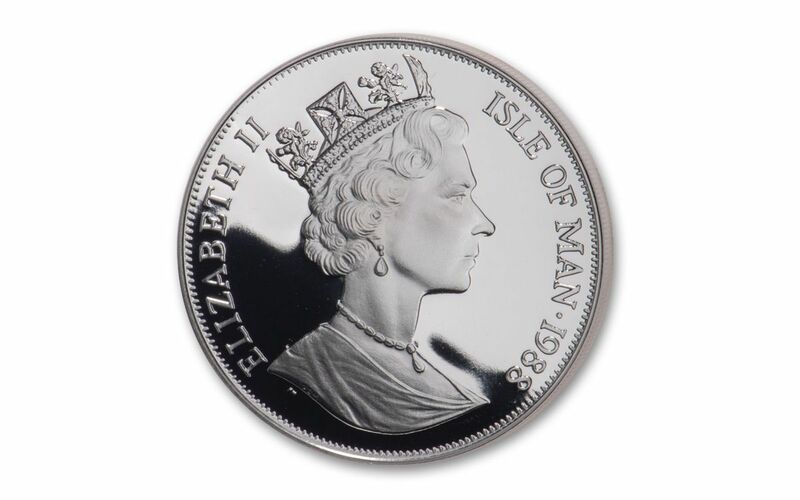 STRUCK IN HIGHLY-PURE SILVER – Each 1988 Isle of Man Manx Cat Silver Proof is struck in one ounce of highly-pure 99.9% silver. GORGEOUS PROOF CONDITION – Your 1988 Isle of Man Manx Cat One-Ounce Silver Proof was expertly crafted by the artisans at the Pobjoy Mint from hand-selected planchets, polished dies and multiple strikes to produce beautifully frosted details rising over mirror-like fields. There are only a limited quantity of 1988 Manx Cat coins left in the Pobjoy Mint’s vaults. Once they are gone, no more will be struck – ever. Don’t miss out, order yours now!